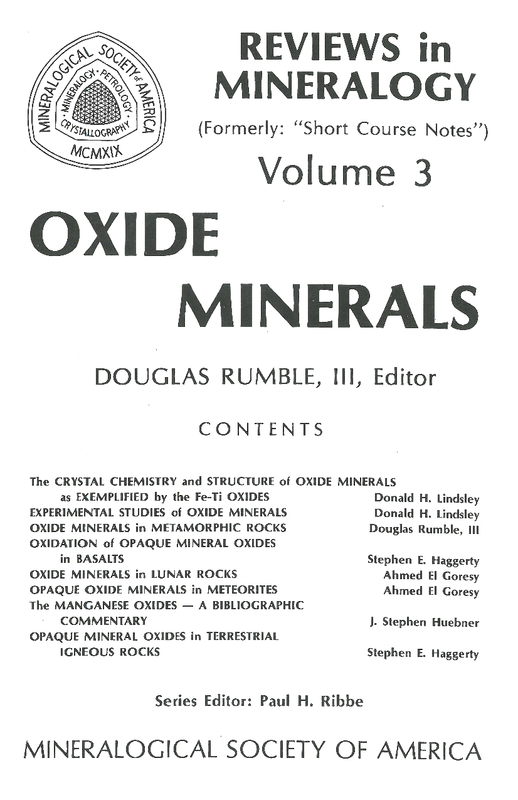 Oxide Minerals was first printed in 1976 as Volume 3 of the Mineralogical Society of America's SHORT COURSE NOTES. That series was renamed REVIEWS IN MINERALOGY in 1980, and for that reason this, the second printing of Oxide Minerals, has been reissued under the new banner. Only minor corrections have been made in the new printing. The purpose of this volume is to provide, in a rapidly-printed, inexpensive format, an up-to-date review of the mineralogy and petrology of rock-forming opaque oxide minerals. 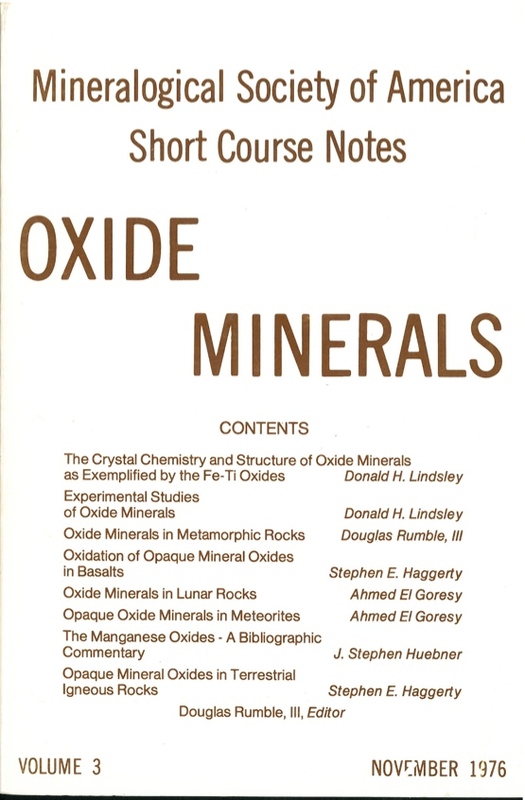 It was the textbook for the short course on rock-forming oxide minerals sponsored by the Mineralogical Society of America at the Colorado School of Mines, November 5-7, 1976. The contributors hope that the work will be valuable not only to participants in the short course, but also to others desiring a modern review of the subject. by Stephen E. Haggerty. p. Hg-1 through Hg-100. References for Chapter 4 are included at the end of Chapter 8.
by Ahmed El Goresy, p. EG-1 through EG-46. by Stephen E. Haggerty. p. Hg-101 through Hg-300. Includes references for Chapters 4 and 8.